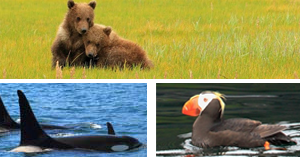 We are available Monday through Friday 8:00 AM to 5:00 PM Alaska time. This is 4 hours earlier than East Coast time. 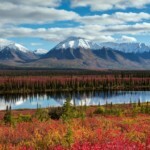 Can we add an additional day in Fairbanks on our 7 Day Denali Fall Colors tour? Yes you can! We can assist with any additional hotel nights, remote lodges, activities, transportation and transfers. Some additional activities available in Fairbanks are: Riverboat Discovery, Gold Dredge #8, Arctic Circle tours, Aurora Northern Lights tours and Chena Hot Springs! (Additional charges will apply). You will be arriving into Fairbanks International Airport and departing from Anchorage International Airport. Transfers between the airport and/or cruise pier (if you are arriving by ship or leaving Alaska by ship) are not included in the price of your tour package. You may add private transfers to your package for an additional cost (subject to availability). Your air must arrive prior to 8:00 AM on Day 1 of your tour. If you cannot arrive by this time, your Tour Coordinator can book a pre tour hotel in Fairbanks. Similarly, if you need a post-tour hotel, we can arrange that upon request. 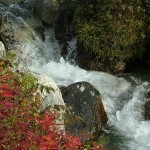 Your tour typically arrives back into Anchorage at 10:30 AM via Motorcoach on Day 7 of your tour itinerary. There are later transportation options available (rail or motorcoach), please ask your Tour Coordinator at the time of booking. Because Alaska sits near the top of the globe, the sun can shine for as many as 20 hours a day during peak season! Your travel day will usually begin at 8:30 AM and end at 8:30 PM. However, you will generally only be in the vehicle for no longer than 1.5 hours driving to each destination. Stops are provided for restrooms, meals and photo opportunities as well as the daily excursions. Evening hours with sunlight will be available for photos and leisure time.